The two rivals will meet at the Mbombela Stadium in an Absa Premiership encounter and Tembo has sighted players like Bernard Parker and Leonardo Castro as danger men. 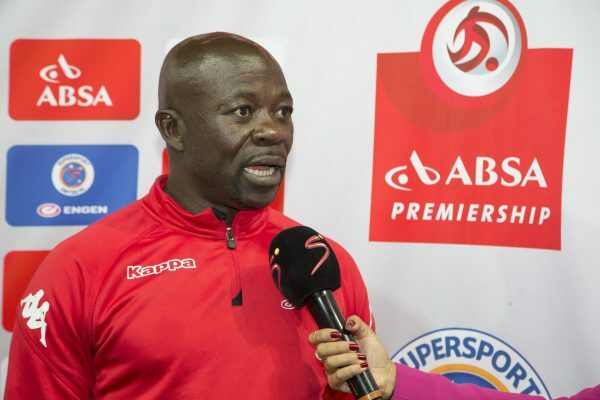 SuperSport United coach Kaitano Tembo says Kaizer Chiefs’ unpredictable nature under coach Ernst Middendorp has forced him to prepare his side extra diligently for Friday’s clash. “Their strongest point is that they are very unpredictable, they can adapt to any way of playing, they can play a diamond in midfield and they can play three at the back and overload the midfield. They are very unpredictable and that is the advantage for them and sometimes they play their right-footed players on the left and vice versa,” said Tembo. “They’ve got speed in Dumisani Zuma and Khama Billiat, and Leonardo Castro can hold the ball for them. The revival of Bernard Parker, he is playing his best football at the moment. They look very solid, they are structured so we need to prepare well for them,” he added. When the season started, the United mentor was vocal about his desire to win the league title, and he says that dream is still possible but they will need to tread carefully. “It is very tight compared to last season because at this stage last season we already knew who were the contenders, it was Orlando Pirates and Mamelodi Sundowns but this season it is very difficult that you can’t really look beyond the next game. What is important is to focus on the next game and collect as many points as we can. If you look at the log, you can lose one and see yourself at number eight because the league is very unpredictable. It is very important that we focus on ourselves,” said Tembo.